Kroger is making it easy for customers to fight hunger in the Blue Ridge region in September, Hunger Action Month™. 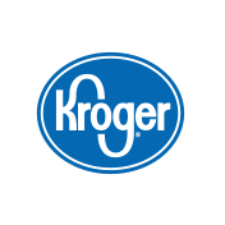 Kroger is partnering with the Blue Ridge Area Food Bank and the Great American Milk Drive to invite shoppers to Feed a Childhood by buying a $1, $3 or $5 milk voucher donation at checkout. All donations collected will help local families get the milk they need. Milk provides nine essential nutrients, including 8 grams of high-quality protein in each 8-ounce serving. Now in its fourth year, Kroger’s annual Hunger Action partnership with The Great American Milk Drive delivers nutrient-rich milk to the Blue Ridge Food Bank. Over the last three years, Kroger shoppers have donated more than 4 million servings of milk to children and families in need across the country. The Great American Milk Drive has delivered more than one million gallons—16 million servings—to food banks across the country. To learn more or donate online, visit milklife.com/give. By entering your zip code, you can ensure that the milk is delivered to a local food bank in your community. America’s milk brands and dairy farmers are dedicated to fighting hunger in our communities. Through this partnership with Feeding America, the dairy industry is committed to providing 50 million servings of milk to kids and families in need by 2020.